John Cale sits in for Jarvis Cocker as part of the Pop Art Season across the BBC. 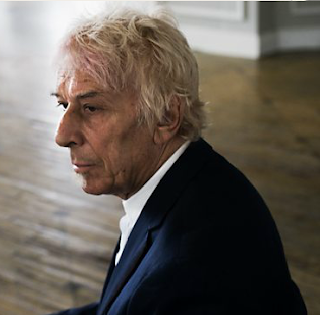 Born in Garnant, Wales, Cale is perhaps best known as co-founder of The Velvet Underground with the late Lou Reed back in 1964. Atthe height of the 60s Pop Art movement, the band found themselves immersed within the world of Andy Warhol and his infamous New York Factory. John left The Velvet Underground in 1968 and went on to produce several seminal debut albums for emerging talent such as The Stooges, Patti Smith, Squeeze, Happy Mondays and The Modern Lovers. On top of all this, his career as a solo musician began in 1970 with the album Vintage Violence. 14 more solo studio albums have followed as well as numerous collaborative efforts and soundtracks. DANCING IN THE STREET (VARIOUS ARTIS. THE BEST OF THE RONETTES. THE BEST OF THE ROCK'N'ROLL YEARS VO.